Lynne Featherstone, Liberal Democrat MP for Hornsey and Wood Green, visited the Muswell Hill Churches Soup Kitchen at Muswell Hill Baptist Church on Sunday. The Kitchen – which serves around 50 people per night, four nights a week – has been providing meals for homeless people for 19 years. It is staffed entirely by volunteers and the food is donated by local churches, schools, synagogues, and businesses including Dunns, Sainsburys and a local butchers. Alongside providing meals, the kitchen also offers supportive services which aim to empower visitors to start new lives away from homelessness. As a result of the kitchen’s wellbeing programme, several guests have already been resettled into flats and rooms. The kitchen leader reports that one-to-one motivational sessions have also been very effective, as have the housing advice surgeries. 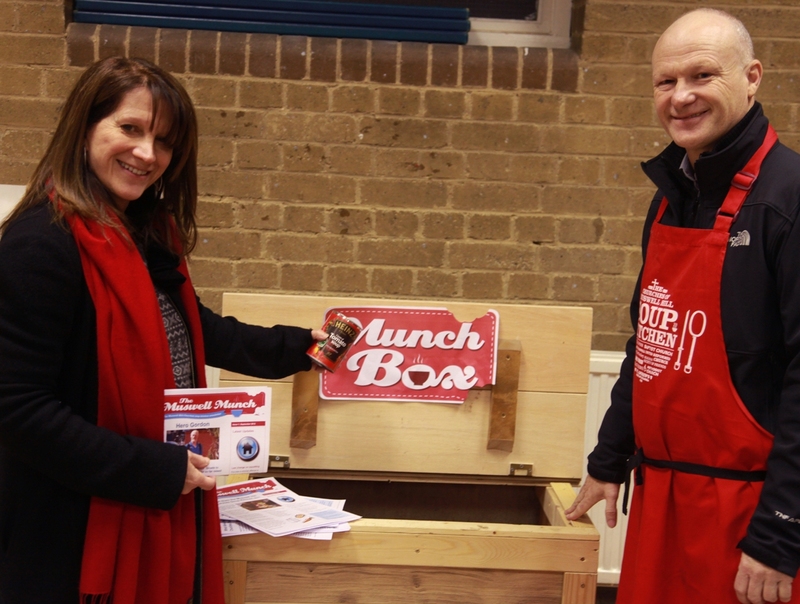 The volunteers have also introduced a ‘munch box’ initiative – large boxes made from scrap wood, which volunteers hope will encourage food to be collected throughout the year. “It was a great pleasure to visit the soup kitchen and see the volunteers in action. It is great project, providing essential food to those who are really in need. “But this is also more than just a soup kitchen. Through their wellbeing programme the kitchen is looking to support homeless people and help them overcome their challenging situations.